Part of Team Casual Runner making their way to runDisney event expo. 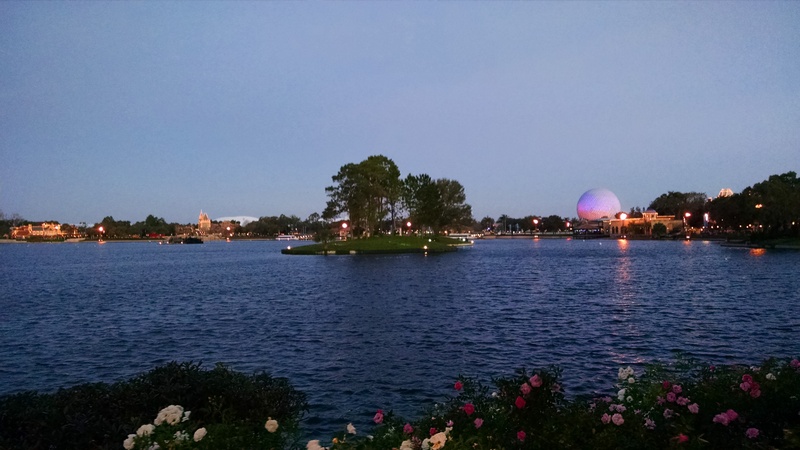 Mike had his chance to review Pluto’s 5k, now compare his experience to Jennifer’s as she gets her turn to review this family fun run event. 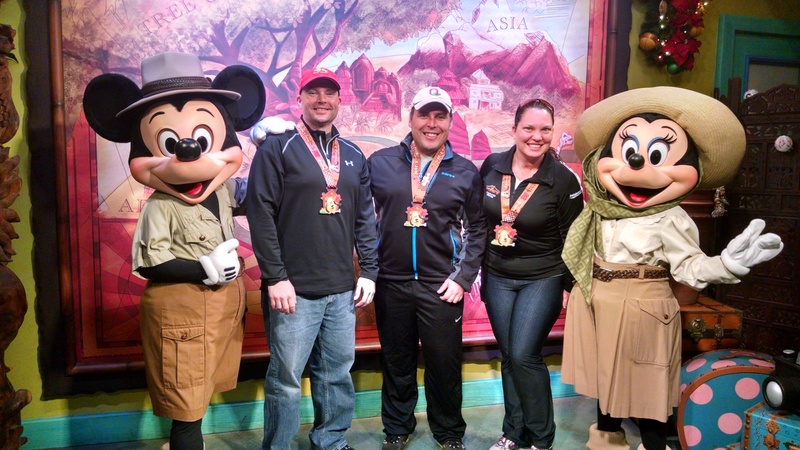 My husband and I decided early in 2014 that in 2015 we would race during every runDisney event weekend. We did not plan to run every race during every weekend, but we had to complete at least one major race during each event weekend. I’m still on the fence whether I will ever do a full marathon, so right away we knew that the Goofy and Dopey Challenges were out for us. And we weren’t sure if we’d be ready to do back-to-back races at the first event weekend, so that meant we wouldn’t do the 10K. But since we’d already be at Disney World and it’s normal for me to do a 2-4 mile run two days before a long run, we decided to go ahead and register for the 5K in addition to the half marathon. I’d really spent the previous 6 months working up to this race weekend. It was one of the major motivating factors for me to start my e-coaching with Jeff Galloway (check out Jennifer’s ongoing series of her experiences e-training under the guidance of Jeff Galloway: Part 1, Part 2, Part 3) since I wanted to be able to enjoy the parks after we ran through them. So in a lot of ways this 5K was the culmination of my training plan, and that was reason enough to celebrate. For runners doing the challenges, packet pick-up was relatively easy, one-stop shopping. For those of us doing multiple races but not as part of a challenge, we had to go to each individual window. That means filling out waivers for each race and standing in multiple lines for bibs and shirts. We were lucky in that we happened to hit the expo at a relatively quiet time and most of our lines were pretty short. But this could have been a disaster if we had long lines at every window. Logically, I understand why runDisney does it this way, but it’s just a little annoying. Donald! Mickey! Slow down will ya? Do you have any idea how many races Jennifer has to run this week? Also, they really need to get away from the paper method of tracking packet pick-up. It would be so much faster if the volunteers could look up runner information in a single online database using an iPad or something. And with what they charge for races, you’d think they could swallow the expense to upgrade to an electronic database system. Disney 5Ks usually give cotton t-shirts to participants, and this race was no different. There’s nothing inherently wrong with the shirt but it’s unlikely I’ll wear it very often. Unisex shirts just don’t usually fit me well so it will likely be relegated to the shirts I wear for housecleaning and yard work. Who doesn’t love The Mighty Ducks? Marathon Weekend seems to have a general sports theme, so my husband and I took a break from the usual princess options. 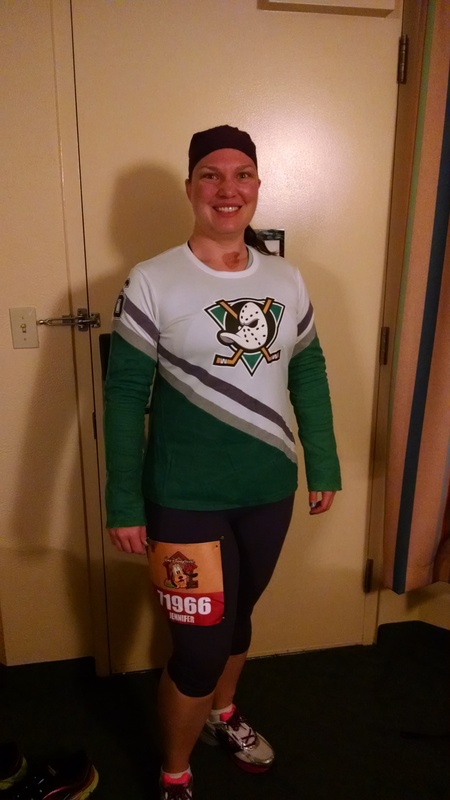 I ended up deciding on a Mighty Ducks theme for the 5K, ultimately going with a jersey from the second movie. Let me just take a second to recognize my husband for all the design work he did on this costume and continues to do on my other costumes. He is awesome at graphic design and puts in a lot of time and effort experimenting with various materials and fabric treatments. My costumes always look great and it’s because he makes them for me. Thanks for all of your awesome work, honey. So the costume: purple C9/Champion running capris from Target, a long-sleeve Asics white shirt that we modified with custom graphics and fabric paint, and a purple Bondi Band headband. The rest of the planned gear: purple Adidas sports bra, Injinji socks, Brooks Adrenaline GTS 14 shoes, Garmin Forerunner 620 and Gymboss interval timer, and Amphipod running belt. Added at the last minute because it was cold: light-weight North Face long-sleeve shirt under my jersey, grey Ascent buff around my neck, and North Face running gloves. You may have heard that this race was cold. It was really cold. My husband and I had decided to do this race just for fun—to see people in their costumes and take pictures together since we would not be running the half marathon together (he is way faster than I am and it’s hard for us to stick together for long runs). But the temperature kind of ruined that. Most people had given up on their costumes in favor of dressing for the cold, and we were too cold to walk around to see the few costumes that were out. Instead, we hit the port-a-potties and then headed to the corrals where we hoped the crowds of people would help insulate us. Pluto’s 5k event gave Jennifer the chance to run through one of her favorite places in Walt Disney World, the World Showcase. We entered World Showcase near China and followed a clockwise direction around the water. It was shortly after sunrise, such that there was enough light in the sky to give a beautiful backdrop to the buildings but not so bright as to overpower the white lights that outline the buildings in the Showcase. My husband was too cold to stop running for many pictures, but Mike and I stopped for several as we went along. I know that a lot of people disagree with Disney’s decision to give rubber medallions for the 5K distances. However, as someone who does a fair amount of 5Ks and rarely gets any medal for them, I’m not as outraged by the rubber ones since it’s nice to get anything to commemorate the race. In fact, I think they are a lot easier to wear around the parks since they are lighter and a little more forgiving when they hit you in the face because you forget to tuck it in your jacket before getting on a ride. They are also a lot more colorful than the metal ones. We did not stick around for very long after the race because we wanted to get back to the hotel to shower and warm up, during which we may very well have used Florida’s entire hot water supply. After we were clean we hopped on a shuttle to Animal Kingdom for the day. Part of Team Casual Runner celebrating with part of the Fab 5. 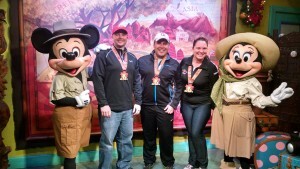 There was some debate in our group about whether or not to wear our 5K medallions around the parks. Here’s why I will proudly wear any medal I earn regardless of how hard the distance is for me: Yes, I have reached a place where running a 5K is something I can do with almost no notice. Honestly, most of my weekday short runs are now longer than 3 miles. But there was a time when finishing a 5K was scary and gave me the “can-I-really-do-this?” butterflies. And for many Casual Runners a 5K is their goal race and will be the longest run they will ever do…and that is awesome and worthy of recognition. I refuse to disrespect their achievements by thinking of the race as “only” a 5K and therefore not worth my effort to wear the medal. We all have individual journeys and reasons for running races, so I will honor the awesomeness of our collective achievements by proudly wearing my medal. It’s a badge of honor that ties us together as a community, no matter how we each got there or where we might go. Just because I can complete a longer distance does not make me better than someone who “only” does a 5K. And I know there are people out there who scoff that I can “only” do half marathons instead of fulls or ultras or the Dopey Challenge. But I refuse to let anyone minimize my achievements by referring to them as “onlys”, and I refuse to make anyone else feel that way about their races. So I will wear my medal with pride, always. Because I was running with others and we planned to stop for pictures I didn’t take music with me. I’m sure there was music playing on the course, but it was all kind of background noise to me and I didn’t really notice it. 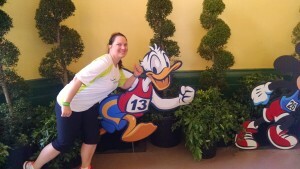 Of the two races I did at WDW Marathon Weekend, I liked this course the best. But I’m not sure I will do it again. So far we haven’t registered for any more Disney 5Ks since our focus (and our finances) are going to the 10K/half marathon challenges. Disney races are overpriced and it’s hard for me to justify the cost of the 5Ks since we’re already doing two other races each weekend. 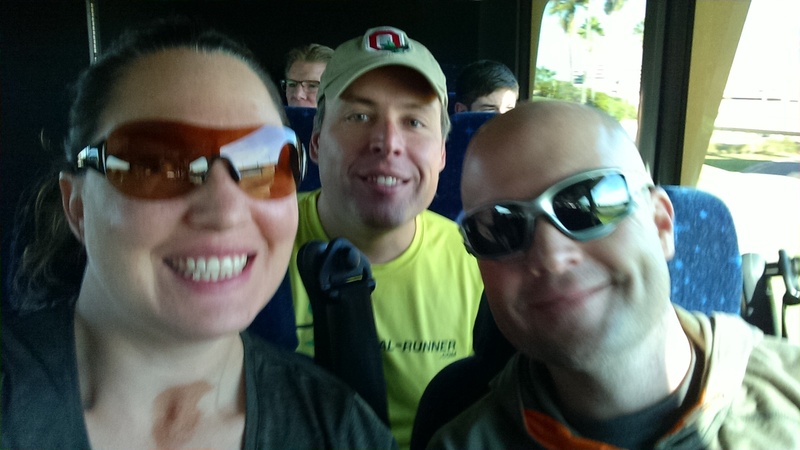 However, if there is a unique aspect to the race (like the scavenger hunt for Expedition Everest) or if there is no 10K (Wine and Dine) then I would consider doing another.